Enterprise Europe Brussels (EEB) is a joint initiative of hub.brussels and the Brussels Chamber of Commerce and Industry (BECI). 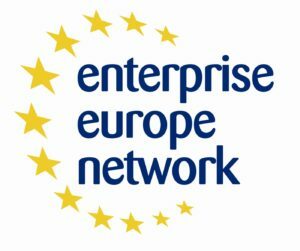 It is the Brussels representation of the Enterprise Europe Network (EEN), the largest business support network in the world. EEN is co-financed by the European Commission with the aim of encouraging expansion to the European and international market and stimulating innovation and the growth of SMEs. The network includes 600 local organisations in 60 countries, in Europe and beyond. greentech.brussels works with Enterprise Europe Brussels to help you find the ideal international research, technological or commercial partner. Enterprise Europe Brussels offers SMEs – as well as large companies, universities and research centres, and public authorities – a range of comprehensive services to facilitate their regional and international development. Participation in brokerage events at trade fairs relating to the environment, renewable energies, the circular economy and smart cities. These business meetings allow you to arrange bilateral business meetings in advance with contacts you have selected from a catalogue. They include: small and large companies, R&D centres, universities from the environmental, energy and cleantech sectors as well as regional authorities and institutional buyers (see the calendar of brokerage events organised by the network). Enterprise Europe Brussels helps you to write your cooperation profiles and identify the participants who are most relevant for you in order to maximise your opportunities for signing successful partnerships. Participation in company missions, i.e. organising a technological and/or commercial visit coordinated by Enterprise Europe Brussels in cooperation with a local contact in another European region. EEB can organise travel based on your needs. EEB provides support for logistical organisation as well as advice on the geographic zone targeted and the technological and commercial partnerships which may be of interest to you. Information on commercial legislation and public calls for tenders in Europe to help you export your products and services in some 60 countries covered by the network. Information and support for European funding in research and innovation, with a focus on Horizon 2020 (the European Commission’s 2014-2020 framework programme for research and innovation). As a national contact point for this programme, hub.brussels can help you access this funding. To find out more: “European research programme”.